Don't RENT Your Next Vacation... OWN IT! Our Orlando Vacation Experts specialize in the representation of Foreign National Citizens and Out-Of-State clients in the Buying and Selling of Investment Properties, for Short-Term or Long-Term Rental. 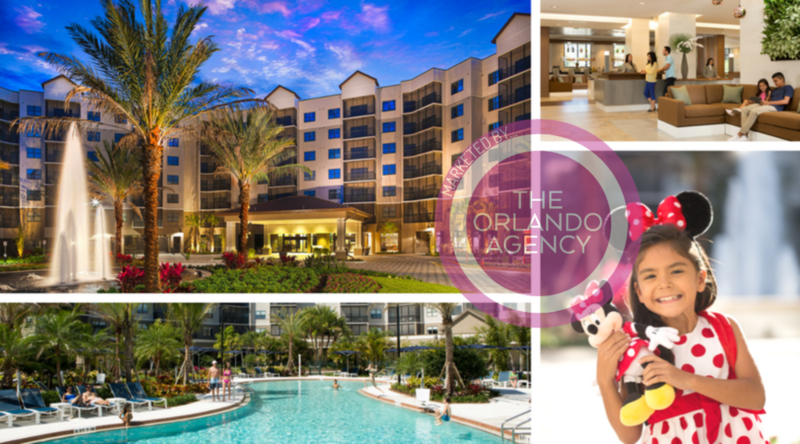 With a specific focus of Vacation & Resort style properties located in the World's Number One Vacation Destination - Orlando, Florida! Whether you’re looking for a second home with amenities galore, an income producing property or even mixture of both, we know exactly what guests look for in a vacation rental, so can identify and advise you on the highest-performing options for the rental market. We are well versed in the entire process of buying and selling vacation homes in Orlando’s most popular communities, and can provide you with honest and accurate information for every step. From building, furnishing, and renting your vacation home to managing your entire property portfolio, our team of experts offer a level of service, knowledge and professional expertise that is second to none. With up-to-date advice about market trends, sale histories, rental performance statistics, and custom-builds, our guidance is offered to ensure every client’s home can be marketed to its full potential and filled with paying guests all year round. Orlando - Where Should You Buy? The Grove Resort & Water Park is a retreat for those who seek to escape the ordinary and are looking to experience a reality infused with magic and wonder. Choose from 4 distinct floor plans with residences ranging in size from 2 Bed / 2 Bath / 1,265 Sq.Ft priced from Mid-$300K’s to Penthouse 3 Bed / 3 Bath / 1,544 Sq.Ft . Owners and visitors can truly enjoy a day at the spa, savory dining experiences, and concierge services provided by Benchmark Hospitality International, known for their distinctive charm, character and personalized luxury. A private resort community located within Reunion Resort & Club offering luxury homes with 5 to 12 bedroom floor plans and exclusive Encore Club with restaurants, bar, pool, fitness center and fabulous AquaPark. These luxurious residences offer an outstanding selection of floor plans to fit every possibility, ranging from 2,500 to more than 6,400 Sq. Ft., choose from 4 to 12 bedrooms with plenty of baths, spacious living areas and huge gourmet kitchens. The spectacular Clubhouse and Fitness Center overlooks Encore’s private AquaPark. You can also enjoy fabulous outdoor facilities including soccer fields, tennis, basketball and sand volleyball courts, plus onsite concierge facility. Your perfect home away from home at Windsor at Westside. Explore our collection of grand home designs ranging from 4-9 bedrooms, and 3.5-6 bathrooms with lofts. Enjoy proximity to world-class attractions, the famous Florida sunshine, and abundant shopping and dining. Relax in your vacation home in Windsor at Westside’s Mediterranean-themed community and enjoy resort-style amenities, sundries shop, and homes with plenty of storage space. Kick back at the lazy river, bar and lounge, or break a sweat at the fitness center or sports courts. Windsor at Westside has a location ideal for Disney World enthusiasts to gain easy access to the Disney parks via Toll Road 429 and the Western Way Blvd, close to many shops and restaurants along with easy access to the road network of Central Florida. This premier Lennar community offers Resort-Style amenities in a welcoming, safe atmosphere. Several major highways link ChampionsGate to the surrounding areas, making both Downtown Orlando and Orlando International Airport easily accessible. An outstanding selection of floor plans to fit every possibility, ranging from Town Homes 1,914 Sq.Ft to the spacious Single-Family Homes 3,812 Sq.Ft., choose from 4 to 9 bedrooms with plenty of baths, spacious living areas and huge gourmet kitchens. The Oasis Club at ChampionsGate features a resort-style swimming pool with a lazy river and splash pad, a fully-equipped fitness center, a tiki bar, a theater room, a restaurant and bar, and so much more! Spanning 244 acres, this Gated Vacation Resort was designed to bring each element of your vacation to new heights. Solara Resort’s eight acre Clubhouse and Amenity Center will boast an assortment of water amenities including a Heated Grand Pool, Flowrider® Surf Simulator, Full Service Restaurant and Bar, Ice Cream Parlor, and Coffee Café. Additional luxuries include a State-of-the-Art Fitness Center, Outdoor Fitness Lawn, Sundries Store, Arcade, and much more! These luxurious residences offer an outstanding selection of floor plans to fit every possibility, ranging from 1,933 to more than 4,300 Sq. Ft., choose from 3 to 9 bedrooms across Town Homes and Single Family Homes, each with plenty of baths and spacious living areas. Storey Lake, developed by Lennar Homes, creates an unforgettable setting for the story of your life to unfold. Located in the heart of Kissimmee, families of Storey Lake can easily access all Central Florida has to offer, including Walt Disney World, Universal Orlando, SeaWorld Orlando, and much more! One of the best selection of Vacation Residences floor plans to fit every possibility, ranging from newly released 2 Bed - 4 Bed luxury Penthouse condos, the proven 4 & 5 Bed Spacious Town Homes along with the last few remaining Single Family, Private Pool Homes. The Hideaway Club at Storey Lake features an 11,450 Sq.Ft swimming pool, lazy river with tropical coves, kid zone and splash pad, and a sundeck for lounging by the pool area. Also included - fitness room, spa, business center, tiki bar along with sand volleyball and basketball courts, with a nature walk to please outdoor enthusiasts. The last piece of world-renowned Reunion Resort, The Bear’s Den Club will be a gated enclave featuring Orlando’s highest-end vacation homes with breathtaking panoramic views. The development will include privately owned vacation homes surrounding the 17th and 18th holes of Reunion Resort’s Tradition Course, a Jack Nicklaus Signature Golf Course and one of almost 300 golf courses he’s helped design worldwide. It’s true. The splendor of life at Bella Collina can be yours... Imagine owning a lakefront oasis amidst the rolling hills of Central Florida, with unfettered access to all the things that make Bella Collina such a desired community. Perfect for empty nesters or second home buyers, Siena at Bella Collina combines the best of private golf and lakefront living, suburban convenience and amenities. Nearby Orlando offers upscale shopping and dining as well as famous attractions, professional sports and a world-class arts and culture scene. Amid Central Florida’s rolling hills and scenic lakes, Siena is a place where families and friends are building lasting memories in a new era of private club living. Experience the beauty of Reunion® Resort with rolling fairways, nature preserves and sparkling lakes. Located just 6 miles from the Walt Disney World® resort, this luxurious resort community offers three Championship Golf Courses designed by Nicklaus, Palmer and Watson, a 5-acre Water Park, fine On-Site Dining and a wide range of upscale Resort Amenities, combined with various Membership options. Imagine a spacious rental home packed full of resort-style amenities where family and friends can stay together under one roof rather than in multiple hotel rooms. FullHouse® is revolutionizing the vacation rental industry by designing one-of-a-kind homes, optimized to provide and exceptional and unforgettable experience. Serenity at Silver Creek is an ECO-Friendly resort style community located in the heart of the Vacation Capital of the World, just 2 and 1/4 miles from Walt Disney World resort. Each of the 136 Serenity Town Homes carries a tranquil waterside view and a return to nature on 40 acres of fabulous Florida land. All of these energy efficient ZEN-ECO HOMES offer best building practices, standard lots and state of the art energy efficient appliances. The Eco-clubs located close to all Town Homes offer residents and their guests luxurious amenities including fitness center, games rooms, lounge areas, covered outdoor seating, hot tubs, along with resort style pools, plus the tranquil views throughout the natural landscape. Lake Buena Vista Resort Village & Spa is Orlando's award-winning condo-hotel with premier facilities, services and amenities, Ideally located in the heart of the World's # 1 Tourist Destination, this luxury resort is only 1.5 miles from the Walt Disney World® resort, close to Sea World® and Universal Orlando® Resort, and only minutes from Orlando International Airport. Choose from 2, 3 or 4-Bedroom Condo style residences with full kitchens. Each of the residences include a dining area, living room with large screen television and a private balcony, offering space to relax. Each residence ranges in size from 1080 to over 2,100 Sq.Ft., much larger than your average hotel accommodations. With the proven performance of this resort, the developer is currently offering a Fixed Performance Program providing a 7% Return for 2 years (only pay for your Real Estate Taxes) including 2 weeks personal use per year (no blackout dates).